This is probably the most well-known heated eyelash curler on the market and the one I am currently using. Curling my lashes this way can take a long time, time that I don't have on a daily basis. So this is only really used for a special occasion. I have had this for about 6 months now and initially I did have my doubts about it because I was trying to replace my HG curler, Eyecurl II. But it really has grown on me. 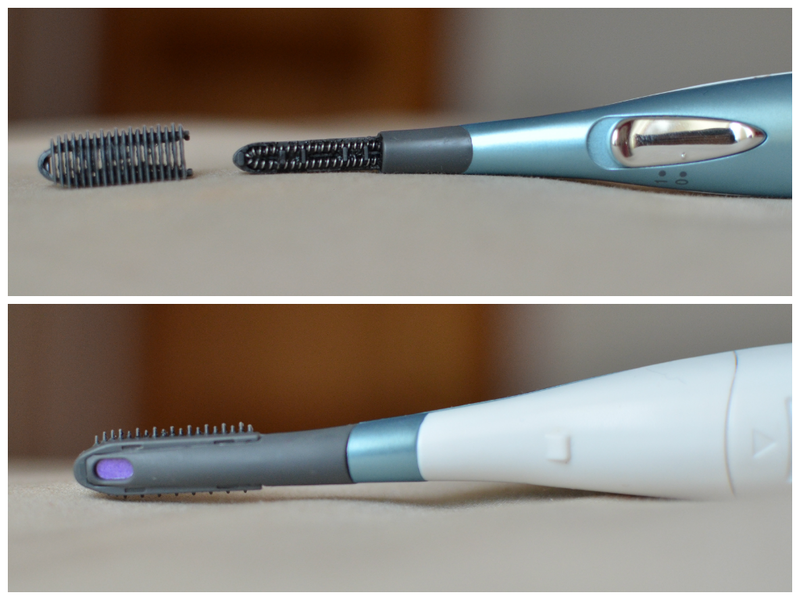 This curler comes in a very sleek packaging that feels quite nice in the hand. It runs on a single AA battery which lasts a surprisingly long time. This also comes with a lid and small brush (not pictured because being the clutz that I am, I have already lost them both). It is simple to use. You push the switch to on, and you just wait for it to heat up. As you can see, the comb is detachable which reveals the heated coils underneath. This attachment is surprisingly useful for separating your lashes as you curl them. You could use the device bare but not only do your lashes clump together, but also you may potentially burn your eyeball. The back of the wand has a heat indicator. The purple is meant to turn pink when it is hot enough. I think mine is a faulty one because no matter how long I wait (even until I can burn my skin on the coil) this stays purple. Here are my bare lashes. Dead straight and quite sparse. The growth is also very uneven in terms of length and density. The hairs closest to the outside of my eyes are also really weird, in that they have a natural kink whereas the rest are completely straight. Weird. Both rows hang almost exactly only 45 degrees from my eyeballs. 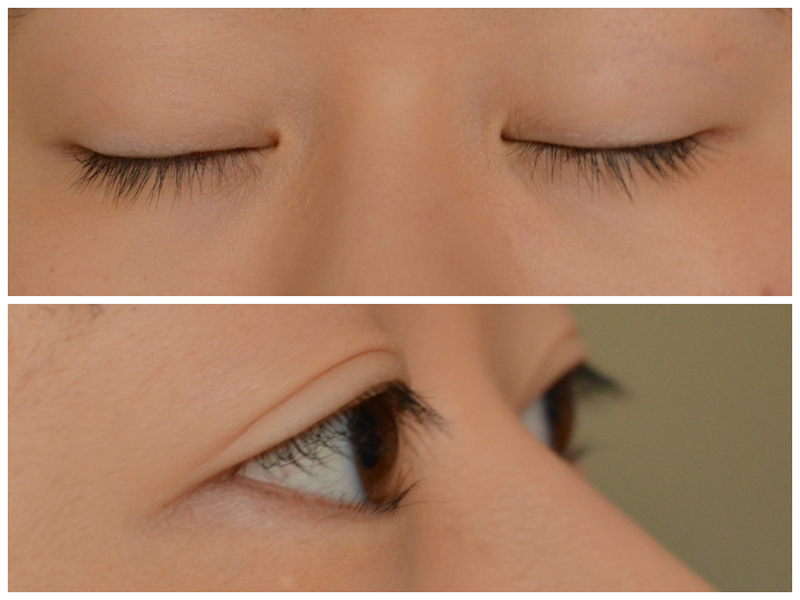 This is my lashes after a quick curl with my traditional Shiseido eyelash curler. So far so good. 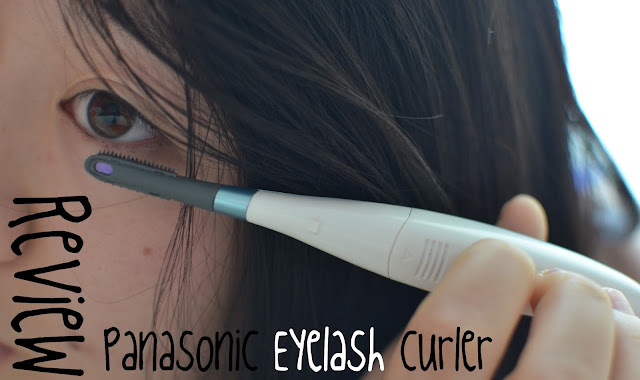 Then I go over it with the Panasonic heated eyelash curler then 'bam!' I have visible eyelashes again. The only issue here is that because of the heat, a lot of the mascara is dissolved from the lashes so they're not as thick as I'd want them. That is easily solved with another coat of mascara. 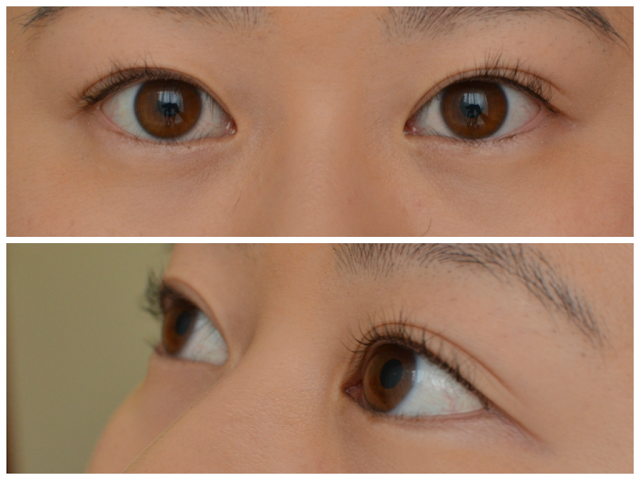 See the difference between the eyes. It is pretty obvious which one I used the heat on. 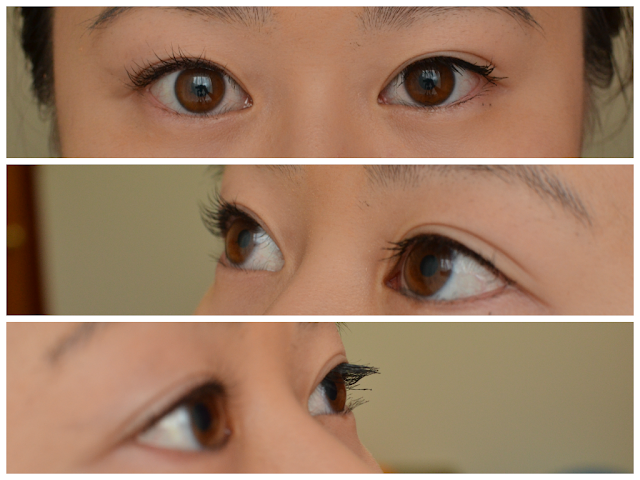 I probably could have curled my inner lashes a bit more here. It is extremely easy to go back in and fix up the parts which you think need a little more help. Not only does this give my eyes an instant lift, making them seem bigger and more awake but this curl actually lasts all day. You already saw how quickly my eyelashes dropped. Usually they're close to their original angle by the end of the day. The recommended technique is to actually replace your traditional eyelash curler with the heated one. So you use it on your bare lashes before mascara. I have found that this is pretty useless. After much trial and error, this method works best for me. The problem now is that there is a lot of mascara buildup on the device. So it is best to do a quick clean after every use, otherwise it will build up too much. You may also notice that I did not curl my bottom lashes. 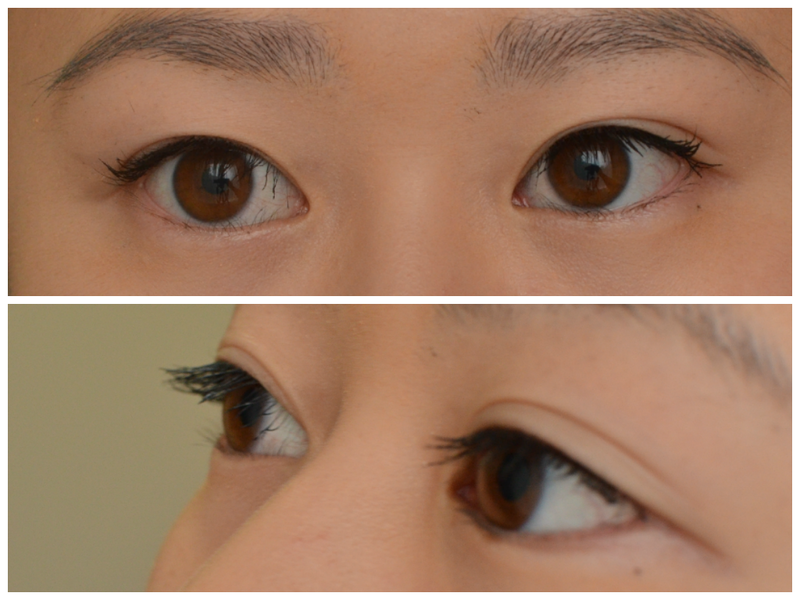 You could potentially use this for that area, except I have virtually no lashes there. So it really is not possible for me. I didn't going into that much detail about the exact technique because I think I will do a more detailed post about it later. I've never used/looked into a heated eyelash curler as I can just imagine myslef poking my eye or burning my eyelid with it but this looks like a great one because it lasts all day! I find I actually poke my eye less with this wand type of curler than with a manual one. I'm extremely clumsy so I don't go that close to the base so technically I could get a better result from it. In terms of the heat, because of the brush head it only feels warm against the skin so technically its quite hard to burn yourself. The staying power is ridiculous though.